Face it. We have a lot to learn about fetal positioning. The old paradigm is fetal positions are random. The new paradigm is that babies match the space available. 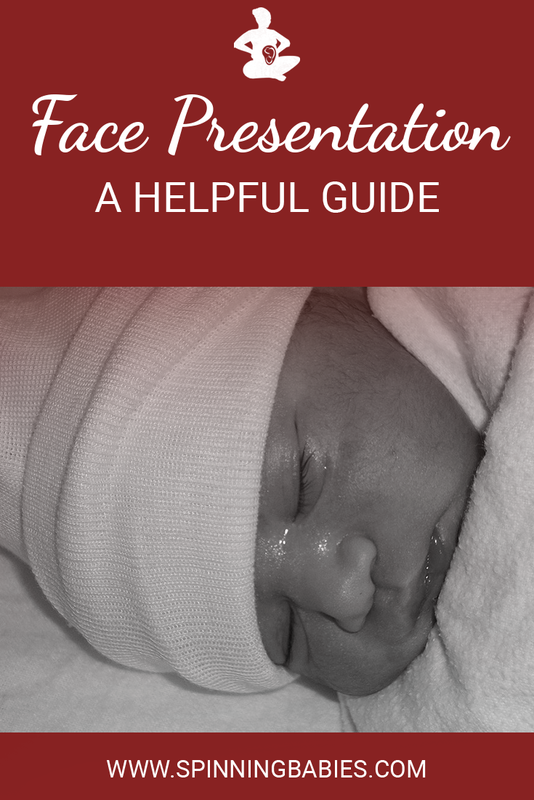 Face presentation occurs when baby’s spine extended until the head is shifted back so baby’s face comes through the pelvis first. Baby may settle in a face presentation before labor. A baby who is in a face-first position often started as an extended (chin up) occiput posterior or occiput transverse position. Coming down on to the pelvic floor with the forehead leading then “converted” this baby’s head to the face first position. 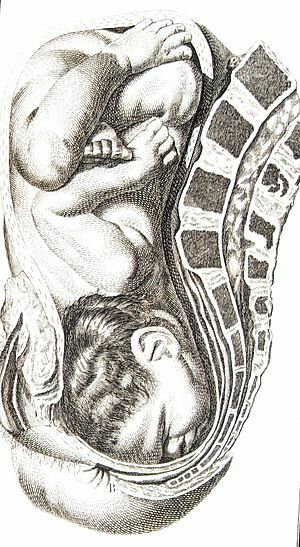 Mobility of the pelvis and the freedom of maternal movements often help bring the baby down through the pelvis with good strong, uterine surges. Sometimes the labor doesn’t continue to move baby down. Cesareans are more common, but a portion of the higher surgical rate is because time is not given to the mother to begin or continue labor, or to be out of bed for this labor. Monitoring becomes important. Expect a bit of an unusual heart rate to contraction pattern seen in these labors. The baby’s face will be bruised for a couple days. Balance the mother’s body and the baby will thank you by curling into position. Flexion is physiological. Face presentation may reflect a psoas/pelvic floor imbalance with a collapse in the front body. Help me, Body specialists, with my presumptions. Free the piriformis, strengthen the buttocks, lengthen the hamstrings, squat for lengthening the pelvic floor, don’t worry about strengthening the pelvic floor right now. Alignment, walking, stabilizing and lengthening will tone the pelvic floor. Use it by breathing with your whole body. The psoas is the upper guide, the pelvic floor is the lower guide. release spasms and lengthen both. Make room for the baby by releasing muscles that spasm, lengthen ligaments that are shortened, and support the abdominal muscles by attending to the muscles that interact with them, don’t go directly to the front first.